The ideas behind blockchain were first conceived as early as 1991, but it wasn't until Bitcoin was developed in 2009 that the technology started to receive more attention. Bitcoin was created by a person or group of people under the pseudonym Satoshi Nakamoto. Though it's still unknown exactly who Satoshi Nakamoto is, their technological innovation has already made a huge impact on the way the world creates and uses money. Most blockchains function as a distributed ledger that records and protects digital data through the use of cryptography. The technology is often applied to networks of digital currencies (cryptocurrencies), but its decentralized and secure nature also makes it a powerful tool for many other industries. As the cryptocurrency space grows and blockchain-based solutions improve, learning how this innovative technology can be applied to different scenarios is very important. By removing the need for trust and expensive security, blockchain provides improved efficiency. Moreover, the decentralized network can be configured as a transparent database, visible by all participants. In this sense, blockchain technology provides the ability to create a distributed yet unified record. This offers opportunities for improving performance and security in many industries and organizations (e.g., charity, supply chain, healthcare, etc.). Many charitable organizations around the world strive to deal with challenges of resource management, operational transparency, and effective governance. Blockchain technology can certainly help these foundations optimize the process of receiving and managing funds. We already have some notable examples of the integration of blockchain technology into charity. For instance, the Blockchain Charity Foundation (BCF) is a non-profit organization that works toward sustainable development goals to fight poverty and inequality, aiming to enable blockchain-powered philanthropy around the world. Most supply chain networks are facing many obstacles in regards to transparency and efficiency. The current management system still depends on trust and is far from providing proper integration between the companies and parties involved. Blockchain technology can be used to track the whole process of creating and distributing materials within a supply chain network. A distributed database may suit well for securely recording any related data, ensuring the authenticity of the products, as well as the transparency of payments and transportation. Operational bottlenecks, data errors, and bureaucracy are a significant concern for the healthcare industry. Blockchain has several use cases in healthcare, including tracking drugs through the supply chain and managing patient data. Moreover, blockchain may offer significant security benefits to hospitals, since these institutions are often attacked by hackers due to the high value of data they hold and their high dependability on it. Companies are exploring the use of blockchain as a way to store digital health records. Such solutions can reduce overall expenses while also enhancing data privacy and accuracy. Musicians, video game creators, and artists in general often struggle to get the pay they deserve due to digital piracy, unfair relationship with third-party agencies, or simply by not being paid royalties that are due. Blockchain technology can be used to create a platform where creative talents have an immutable and transparent record of who is renting, buying, and/or using their content. Such a platform can also facilitate payments through smart contracts - which are basically self-executing digital contracts. Blockchain technology has the potential to greatly improve governance in various different sectors. 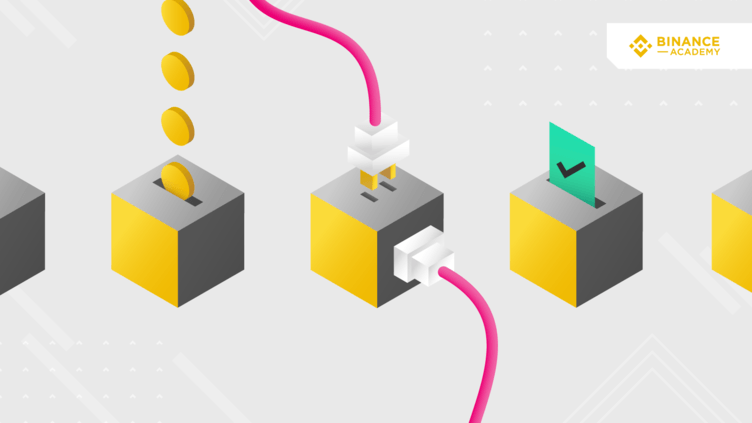 By managing networks and operations in a more democratized, fair and secure manner, blockchain-based systems may be implemented as a tool to eliminate vote fraud and increase trust during elections or other constitutional processes. They may also be utilized as a powerful weapon against corruption, enhancing data integrity and traceability in a variety of scenarios, from tax collection to financial aid distributions. When it comes to sending money worldwide, blockchain technology has already proven to be very efficient. Sending cryptocurrencies to friends, families, and others around the world is already cheaper and faster compared to what centralized banks and payment solutions have to offer. Moreover, centralized websites and Apps don't give users control over their data and often don't reward them according to the true value they bring to the platform. Blockchain-based decentralized applications (dApps) take out the middleman, giving users the potential to enjoy reduced fees, better incentives, and greater transaction efficiency, while also being able to send and receive digital money. As Vitalik Buterin once said, blockchain solutions allow people to work directly with one another, removing the need for intermediaries or centralized systems. Blockchain and the Internet of Things (IoT) are a natural match. Blockchain is decentralized technology and IoT networks are often used to collect data from sources that are scattered apart. Blockchain allows organizations to keep an immutable and transparent ledger of IoT devices, the data they collect, and the interactions between one another. Among its security features and its cryptocurrency applications, blockchain offers an ideal platform for machine-to-machine (M2M) transactions. As blockchain is a technology that's based on facilitating accurate and secure transactions, it only makes sense that it's integrated with IoT to ensure accountability and data accuracy and security. That's why many firms have been placing a lot of resources into a blockchain-powered IoT network. As distributed ledger technology, blockchain has the capability to provide networks and organizations improved security, transparency, accountability, and efficiency. The technology enhances privacy and removes the need for trust. It also creates an internet of value where users can perform borderless peer-to-peer transactions. That's why blockchain technology and cryptocurrencies are not only here to stay, but also hold the power to transform all sorts of industries and aspects of life, from finance, agriculture, and big data to government, voting, and law.